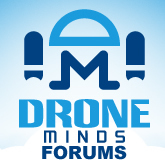 Discussion in 'Drone Classifieds' started by Mystery.Shadow, Feb 26, 2017. I am not selling these, but check out these deals! Just thought you other Drone Enthusiasts would want to check these out!